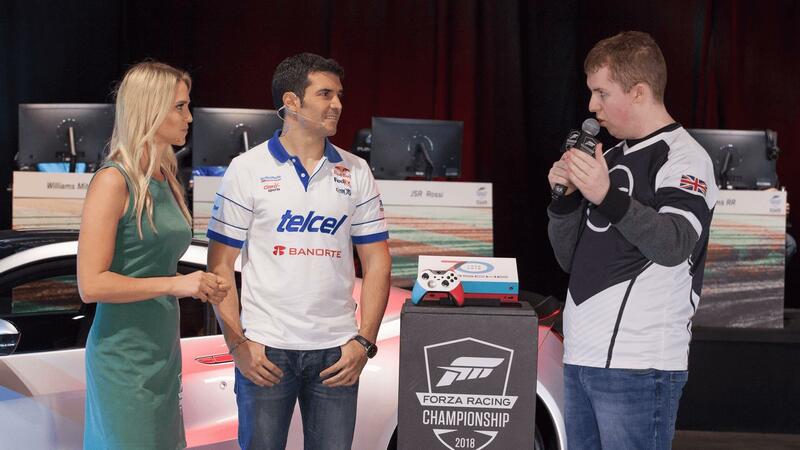 It’s been a weekend of tense racing action , close battles and non-stop drama as the Forza Racing Championship headed down to Mexico City for its Series 2 Playoffs – one last stop, one final epic showdown event ahead of the Forza Racing World Championship finals taking place in London, England this October. The action in Mexico City kicked off with the non-broadcasted group races on Friday as 36 drivers were shortened down to 24 who would advance onto the semi-finals on Saturday. It was a day full of action and drama no doubt, but the real racing spectacle took place on Sunday with the finals. 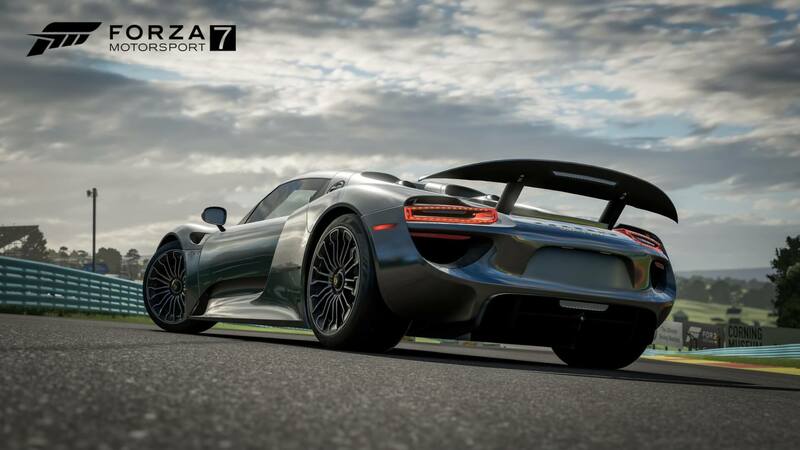 It saw 12 of the most skilled drivers in Forza Motorsport 7 battle it out for their share of the $75,000 prize pool in four distinct, unmissable races that delivered the high-octane drama we come to expect from the Forza Racing Championship. From a thrilling start on Brands Hatch to a quiet, clean race on Indianapolis before a tense showdown on Silverstone and a drama-filled finale on Nürburgring, this was one of the most exciting events yet in the history of the Forza Racing Championship. Let’s just say that final race was not only surprising, but also unmissable. It had everything on the line. Before that anxiously awaited nerve-racking finale showdown on Nürburgring, we were taken to a cloudy and dull Brands Hatch for 9-laps in an FWD 2018 Honda Civic Type R hatchback as drivers were forced to acclimate to the changing track conditions as rain began to dispense. Sure, it might have only been a light drizzle, but rain is still rain and that wet track surface can change everything. The drama kicked off right away, however as Phelipe “ZooM” Reis of Sauber Esports was immediately demolished at the start of the race as he spun out into last place. Tobin “Racerz” Leigh of Veloce Esports also didn’t have a great start either as he fell back into eleventh. 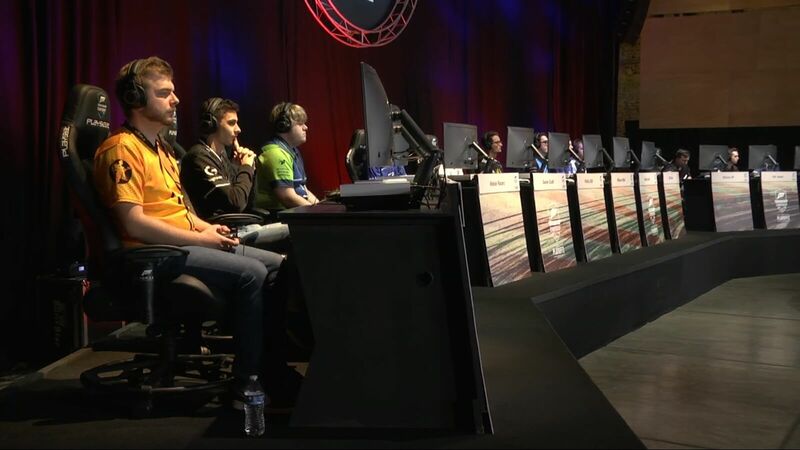 It was a battle between Robin “b0x” Betka of Noble Esports, Aurélien “Laige” Mallet of G2 Esports and Taylor “Lightning” Stomski of TX3 in the front, but it wouldn’t remain this settled for too long. Gary ‘Mitch’ Mitchell of Williams Esports performance a clean overtake on Lightning to create a tense four-way battle. However, it would be b0x who would take the lead in this race, delivering a brilliant, yet unforgettable start to the finals of the Series 2 Playoffs. It wasn’t a great start for ZooM, however, as the young Brazilian driver finished in last place, but Racerz did manage to climb back into ninth. Not a terrific start for either of the 18-year-old drivers, but at this stage, the competition was far from done. The second race of the day saw a much quieter, cleaner race as drivers headed to Indianapolis GP for yet another 9-lap event in a 2017 Nissan GT-R, which successfully outvoted the 2017 Acura NSX. This famous American circuit located in Indiana is undoubtably a great track for its overtaking opportunities, and it certainly handed in a fair racing result. The sun was also shining for this one too, and since there’s no rain on this course in Forza Motorsport 7, it meant the drivers didn’t have to worry about a sudden downpour. It all started off with a great launch by b0x, who surprisingly managed to hold back Laige from overtaking at the beginning of the race. It was clear where everyone’s eyes were focused, however, and that was on the four-star drivers at the top of the pack. 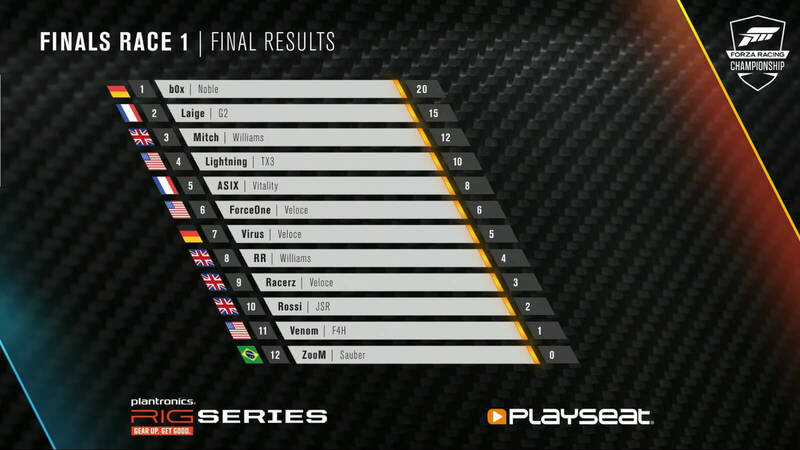 b0x, Laige, Mitch and Lightning all led the way on this American circuit, but it wouldn’t be such an exciting race for Racerz and ZooM, who both ended up in ninth and twelfth respectively following adjudication. Penalties handed out to Zach “Venom” Taylor of F4H Motorsport and Ross “Rossi” May of Japspeed Racing saw them down in tenth and eleventh respectively in the final race results. ZooM also received a 5-second penalty as well, and once more, earned no points for the race. However, that isn’t the end of the story for this race at Indianapolis GP. 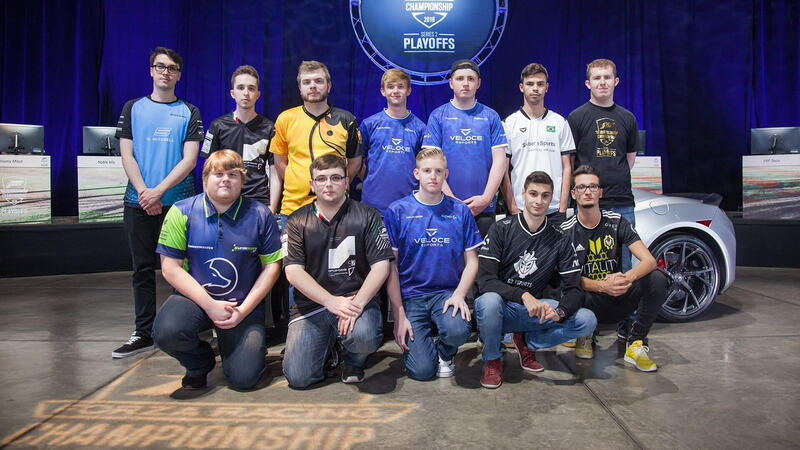 There was a great battle between the North Americans with Daniel ‘ForceOne’ Nyman of Veloce Esports and Lightning – and Mitch was even stuck in the middle of it as well. The trio of drivers took their lines to be as perfect and as fast as possible as Lightning aggressively tried to prevent ForceOne from overtaking him. It made for some excellent and tense viewing to say the least. Ultimately, the Veloce driver outshone Lightning as he climbed into fourth, but a third-place finish for the British newcomer continued to show Mitch’s dedication and growing skill level in the Forza Racing Championship. Sure, this race might have been a much smoother, cleaner event overall with less action to discuss, but it still most certainly had its highlights. The Hockenheimring located in Germany was outvoted by Silverstone to host the third of these unmissable races in the finals of the ForzaRC Series 2 Playoffs live from Mexico City. Home of the Rolex British Grand Prix, this 7-lap race at Silverstone would see drivers behind the wheel of the 2017 Bentley Continental GT3 race car. Drivers would need to take advantage of the kerbs in what is not only a technical track, but also one that’s historically brilliant in every right – delivering far more excitement and surprise than expected in this simply extraordinary second-to-last race of the ForzaRC Series 2 Playoffs. Once again, the German driver b0x would lead the charge with Laige, Mitch, ForceOne and Lightning following behind – delivering a brilliant four-wide start mid-pack as they pushed to take those upper positions and hold the line. It was yet another tremendous start for the ForzaRC Series 1 Champion as he raced into Maggots and Becketts with Laige trailing not too far behind. However, it wouldn’t stay this way for long as both Laige and Mitch surpassed b0x on lap 3, but the race was far from done. The German Series 1 Champion kept as close as possible to them leading into the fourth lap, but that fluid overtake from Laige certainly left a lot of pressure on b0x. 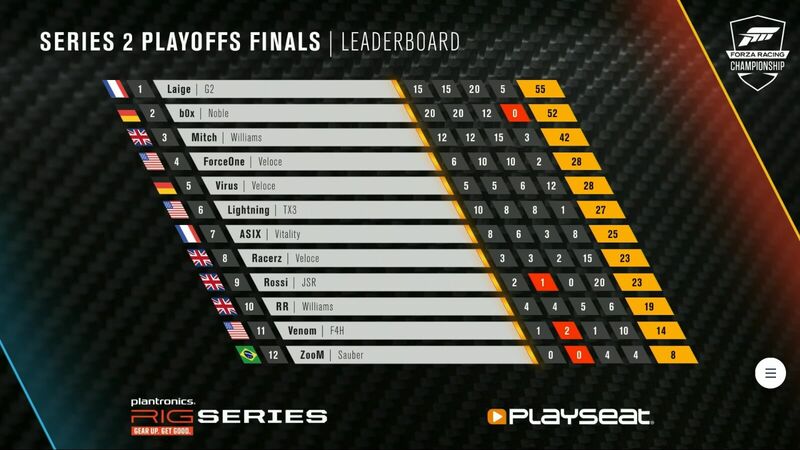 Someone we haven’t spoken about yet, but certainly performed well in the Series 2 Playoffs would be Noah “Virus” Schmitz of Veloce Esports – who made his way into fifth place throughout this Silverstone GP race as a battle between Laige, b0x and Mitch continued to unfold at the top of the pack. Lightning would have to perform incredibly well in the final race if he wanted to take that podium finish, but with no penalties handed out leading into the fourth and final race – b0x and Laige were nearly matched on points, with 52 points for the German driver and 50 points for the Frenchman. At this stage of the competition, it could’ve gone either way, and this made the wait for that fourth race on the Nürburgring GP that bit more tense. As for Mitch, the gap between him and the top two drivers was far too wide, with the British driver having a total of 39 points at this stage in the competition. ForceOne and Lightning followed this with a respectable 26 points each. I knew the fourth and final race of the ForzaRC Series 2 Playoffs would be one to remember, but I certainly was not expecting what ultimately unfolded. Chaos, drama and heart-wrenching action on-track is how I’d describe it. Not to mention a painful wait for the adjudication results that ensued after this unmissable racing spectacle. 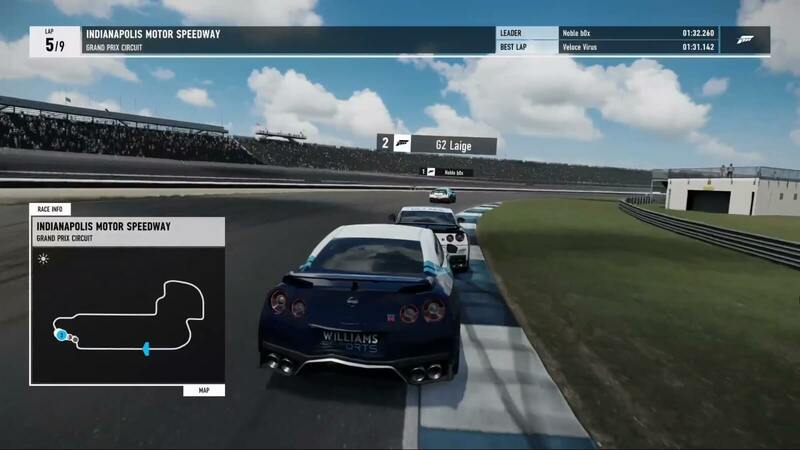 This was the one with $75,000 on the line, this was the one with a limited-edition custom Porsche 70th Anniversary Xbox One X console up for grabs, but this was also the one to use reverse grid – and that changes everything. And just when you thought things couldn’t get even more pressurized and intense for the drivers, the viewers had voted for rain to top it all off. It’s fair to say the Ring had suffered quite a downpour and was literally soaked once this race had wrapped up. There were puddles on all apexes and curves, and drivers would need to keep mid-track and remain focused to prevent their Porsche 918 Spyder hypercars from hydroplaning. Because this one was reverse grid, the Scottish driver Rossi led the way followed by Venom and ZooM, with Racerz and Michael ‘RoadRunner’ Coyne of Williams Esports just behind them. However, the focus of this one was ultimately on the back of the grid as we searched for the Series 2 Champion of this thrilling 2018 season of the Forza Racing Championship. It wasn’t long until complete chaos ensued, however as Laige descended onto the track, bombing it into turn 15 – the second-to-last turn of the first lap. b0x had nowhere to go and ultimately hit straight into him, resulting into a brief few seconds of pandemonium. That incident would be one for the marshals to investigate, but it was unbelievable to watch it all unfold. The Series 1 Champion b0x would overtake everyone in his path with almost little to no effort as ForceOne and Lightning were literally in his way with Mitch not too far behind. This is what you call one of those unforgettable races in the ForzaRC. Every driver wanted to ensure they had the best finish result possible, even if it meant driving with aggression and ferocity – but it led to excellent, pure brilliant viewing from home. To no surprise, this race was all about eight and ninth place. The battle between b0x and Laige. Two former ForzaRC Champions, both of whom were sat beside each other at the Mexico City Playoffs. I can only begin to imagine the tense vibes and atmosphere between them. Friends on the track were most certainly considered rivals for this one as the rain began to pour down on lap 3. We already had enough drama as it was – our hearts were already pumping, but this dynamic change in track conditions could alter everything. The circuit began to evolve rapidly as heavy rain covered the track surface in a wet blanket with puddles starting to emerge almost everywhere. As the heavy downpour continued, ForceOne managed to overtake b0x, but this didn’t last long as he aimed to quickly began to make up the gap to Laige. Between all this action and torment, you’d have to wonder how those 918s survived with simulation damage! As for Laige, he managed to get ahead of RoadRunner and Rossi as he continued to lead the race. However, the German driver and Series 1 Champion appeared nervous and pressured. He hit ZooM and damaged his car, a rough move to make in sight of the chequered flag. The 18-year-old Brazilian driver for Sauber would later return the favour with a punt of his own. But that was it. 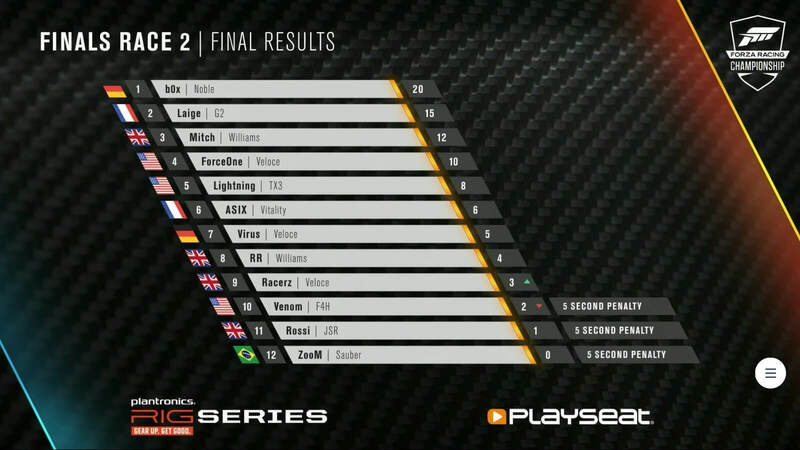 The Nürburgring GP finale of the ForzaRC Series 2 Playoffs was done. A close battle that ultimately had us biting our nails as we patiently awaited the final results of the race. Because he finished in first place, Rossi would be returning to his home in Scotland with that spectacular Porsche 70th Anniversary Xbox One X console, but that’s pretty much all we knew heading into adjudication. A lot of marshalling was certain to take place, and one penalty could change that eagerly-awaited outcome between b0x and Laige in the battle to becoming the Series 2 Champion in Mexico City. It’s fair to say that reverse grid isn’t just a cruel mistress in the Forza Racing Championship, but it’s also intense and exciting. Following some unmissable battles and an absolute downpour of rain on the Nürburgring GP, it would be the Frenchman himself to bring it home. 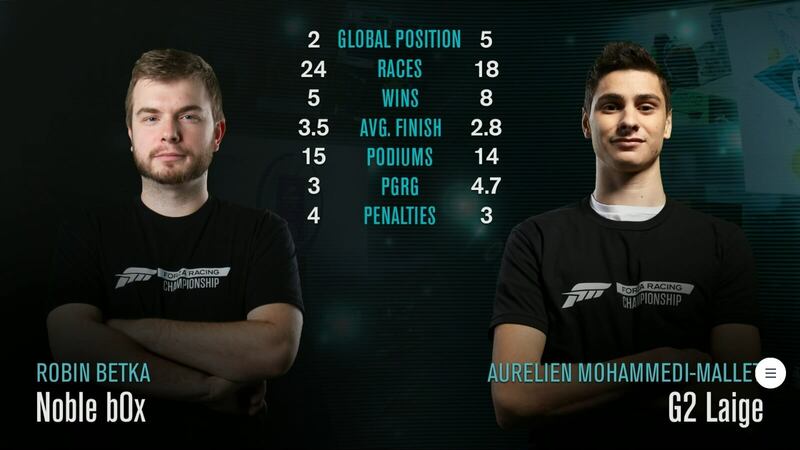 Aurélien “Laige” Mallet had done it for G2 Esports in his first ForzaRC seasonal victory since the ESL-organized Season 2. Whilst Laige made it happen and got first place in the overall Series 2 Playoffs competition, b0x and Mitch would be rounding off the podium with him. At the end of the day, this could’ve gone to any of them and they all truly deserved it. It was a great top 3 result overall and a brilliant way to conclude such an unmissable weekend of racing action in Mexico City. I do have to mention Mitch once more, however, as he’s really become such a dominant force in the Forza Racing Championship. Representing Williams with his teammate RoadRunner, this driver has most certainly worked hard to become a force to be reckoned with. Practise combined with overall skill and sometimes even a little bit of luck will make it for you in the ForzaRC, but Mitch has truly outshone much of the competition and has gone above and beyond as a leading star in Microsoft’s premier racing esports series – and he certainly deserves all the success following his excellent performances in both the Series 1 Playoffs in Seattle, WA and now the Series 2 Playoffs in Mexico City. Mitch’s semi-finals may not have had the best start this weekend when he hit the wall after race one at Bathurst – the home of the Australian Supercar Championship, but he pushed hard afterwards and has truly excelled once more. Combined with his overall third place finish in the Series 1 Playoffs in Seattle, this is now his second podium finish at a ForzaRC LAN event. It makes me incredibly excited to see where Mitch will end up in the Forza Racing World Championship finals in London, England next month. These are undeniably huge feats for the driver, but it wasn’t such a successful weekend for the young Brazilian competitor ZooM, who ultimately finished in twelfth at the competition. The 18-year-old occupied the top spot of the 2018 ForzaRC Global Leaderboard ahead of the Series 2 Playoffs, so it’ll be interesting to see if there’s any alteration there leading into the ForzaRC London finals. 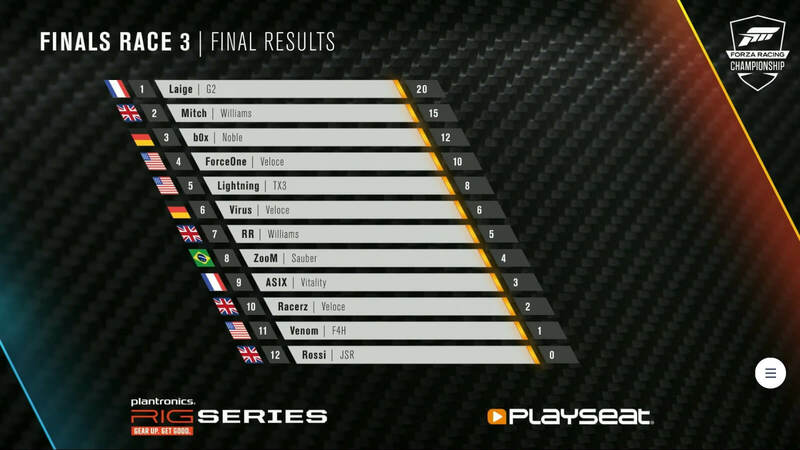 As for Veloce, they handed in quite a solid performance overall with ForceOne and Virus side-by-side in fourth and fifth respectively, and of course, Racerz finishing in eight. There’s certainly nothing to overlook at there, especially when you consider the overall raw power and strength of these drivers when they're combined as a team. Veloce will undoubtedly deliver some excellent viewing come the London finals – and I can’t wait to see it all unfold. Speaking of London, we’re only three weeks away until the culmination of what has certainly been an unforgettable 2018 season of the Forza Racing Championship. 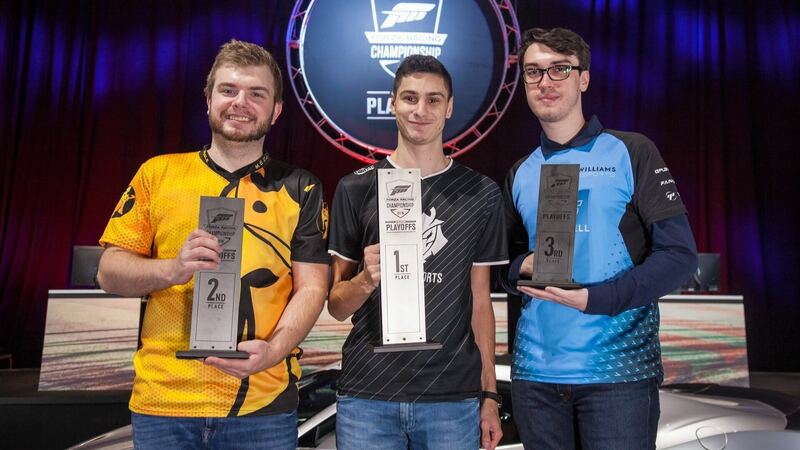 The inaugural Forza Motorsport 7 esports competition has been the biggest and best ForzaRC season yet, but the London finals will crown an overall global victor of the year. Will Laige strike up once more as the favourite to win in the English capital? Potentially, but one thing is for certain – b0x will already be thinking about his tactics and planning for the Forza Racing World Championship finals. The German driver will most likely be aiming for that first-place victory as we look forward to some drama-filled battles between these ForzaRC Champions in London. Perhaps it’ll be time for someone else to shine? Only time will tell, because at the end of the day, racing is unpredictable – especially when you have 24 of the best Forza Motorsport 7 drivers in the world all competing on the same track for $100,000 in prize money. It’s sure to be intense.